The holidays are fast approaching, and I don't know about you....but I'm not even close to finishing my shopping! I've been too busy enjoying the other, fun aspects that come with the holiday season! Socialising with friends, decorating, drinking hot chocolate and eating candy canes! Now it's time to buckle down, and get to shopping. So in my search to find the perfect gift for everyone on my list, I came across this post from coolmomtech.com, "Holiday Tech Gifts 2013: Stylish tech gifts for the fashionista". 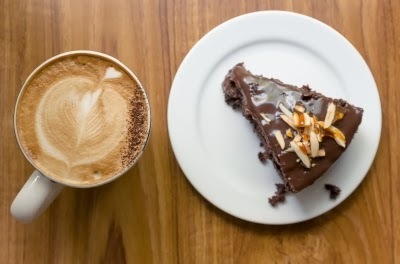 And can I just tell you, I want EVERYTHING on this list?! This list has everything from faux fur headphones to a leather mousepad. 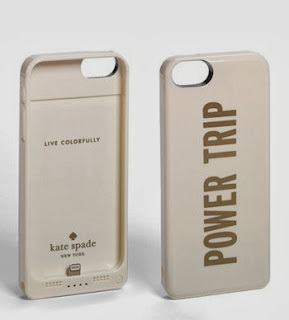 But, I especially love the Kate Spade "Power Trip" iPhone 5 charging case. It's an adorable case for your phone, but it also charges on the go, ensuring you don't run out of juice. And face it, that's all we really worry about! So, if you have a tech savvy fashionista on your list this year, I suggest you check this out! I'm sure you will be able to find something for them! If you're in the market for a new phone case, Amazon has so many to choose from and they're at GREAT prices! Check out this one, it has a BOW! LOVE! Santa, if you're reading - I promise, I've been good!